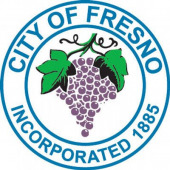 Some of the top hospitals and healthcare providers in Fresno include Community Medical Centers, VA Central California Health Care System, Saint Agnes Cancer Center, and Kaiser Permanente Fresno Medical Center. Other popular nursing careers include licensed vocational nurse (LVN) and certified nursing assistant (CNA). LVNs care for the sick or injured under the supervision of RNs, surgeons, and physicians, while CNAs provide hands-on care and perform routine tasks under the supervision of nursing and other medical staff. LVNs must complete a certificate or associate's degree program and pass the national licensure examination, while CNAs must complete an accredited training program and obtain state certification. Graduates of Fresno's RN, LVN, or CNA programs will join a sizable community of local nursing professionals that earn some of the highest salaries in the healthcare industry. Fresno is home to 5,340 RNs who earn $73,590 annually, 1,350 LVNs earning $46,470 per year, and 2,530 CNAs who earn $24,560 on average. The following is a list of accredited nursing schools in Fresno, California that offer some of the top educational programs in this lucrative field.